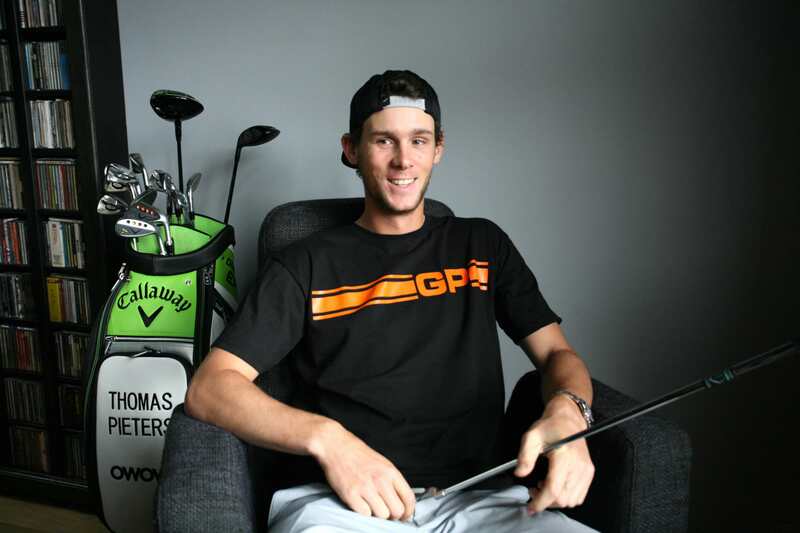 Thomas Pieters started playing golf at the age of five. There was no club pro father or uncle there to get him into the game and steer him on a path to glory, just a family who loved playing the great game. Thomas, like the rest of us, got hooked and it didn’t take long before he was demonstrating genuine prowess and potential. By the time he was 18 he’d won the Belgian Junior Championship and earned himself a place at the University of Illinois where he started to show his impending class, winning the individual title at the Jack Nicklaus Invitational in 2011, followed by first place at the Individual 2012 NCAA Div 1 Championship. In 2013 TP ran away with the NCAA ‘Big Ten Conference’ individual award, the highest level of college golf. When he was 21 he was so confident about his future in golf that he quit his last year at Illinois in order to turn professional. That was in 2013. Next up was qualifying for the European Tour via the Challenge Tour that same year. Thomas fought through three stages of qualifying, gaining the 20th tour card. He hadn’t blown the Challenge Tour away like many had predicted, but he was on his way. Before he had chance to check his yardage book, Thomas found himself in a play-off for the Open de Espana. Against Miguel Angel Jimenez. At Valderrama. He lost the play off but he’d made a big statement. Anyone that can knock it around Valderrama in four under in four days of fierce wind has clearly got game. He ended the year with a world ranking of 243, having climbed a massive 879 places from the start of the year. He didn’t have to wait long for his first win, or his second. After winning the D + D Real Czech Masters in August 2015, he went to Holland won the KLM Open the following week, putting him in the world’s top 100 golfers. 2016 got off to a flyer as Thomas finished second to Rickie Fowler in the Abu Dhabi HSBC. And then came the Olympics. Ah, yes, the 2016 Olympics – spurned by some of the world’s best golfers due to a tragic lack of imagination on their part. Thomas and his compatriot and pal Nicolas Colsaerts, however, had plenty of imagination, seeing the Olympics as a unique opportunity to represent your country and bring golf to a whole new audience back home in Belgium and beyond. Thomas narrowly missed out on a medal, finishing fourth. 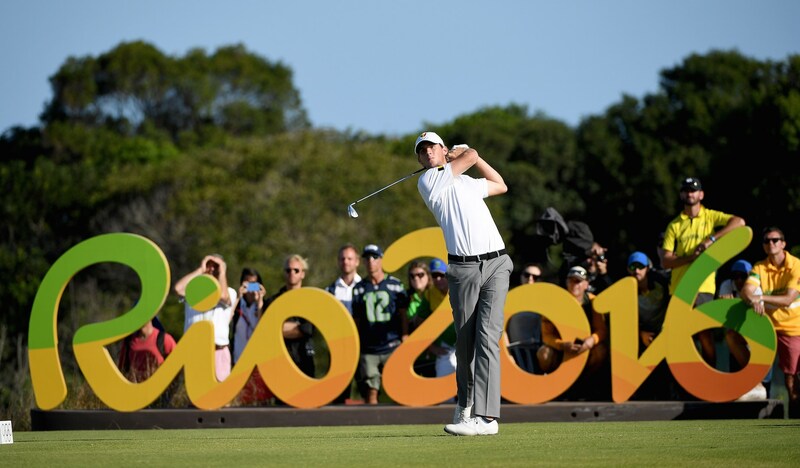 But golf had been a major success at the Olympics in its first outing since 1904, and Thomas had done his bit to ensure that golf would be back at the games in 2020. 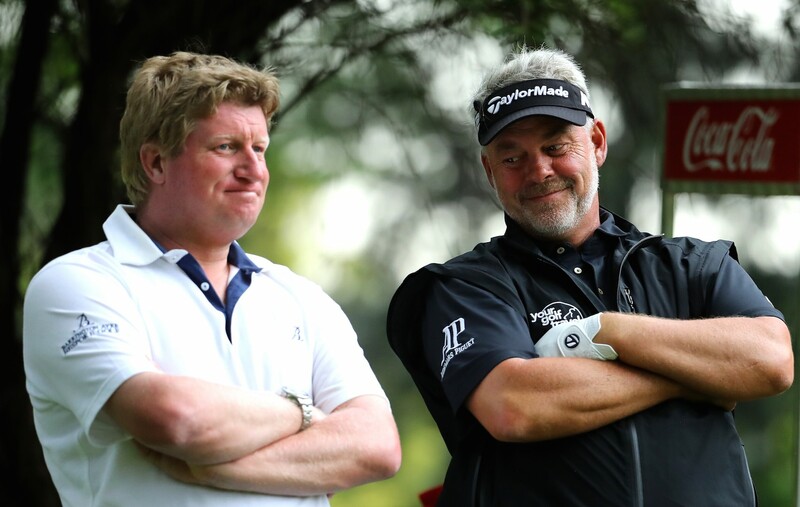 Winning the 2016 Made In Denmark tournament at the end of August gave Ryder Cup captain Darren Clarke all the excuses he needed to make him a Captain’s Pick for the European side on their way to Hazeltine. 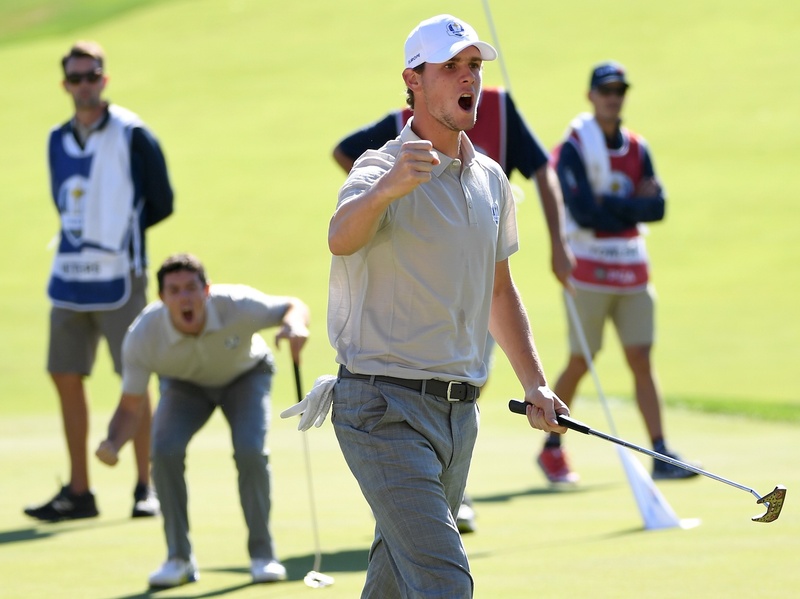 Pieters’ heroics at Hazeltine proved to be pretty much the best thing that happened for the European side who went down 17-11 to the Americans. Pieters, however, was one of only four Europeans to win his singles match, adding to his fourball and foursomes wins. 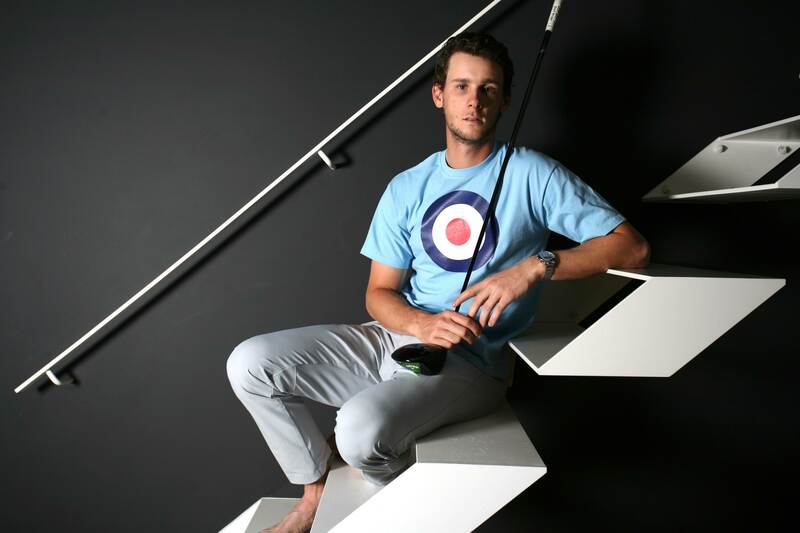 As the the Europeans trudged back onto their plane to lick their wounds, Pieters surely had the springiest step, having become the first European rookie in history to win four Ryder Cup points. Thomas Pieters had officially ‘arrived’. 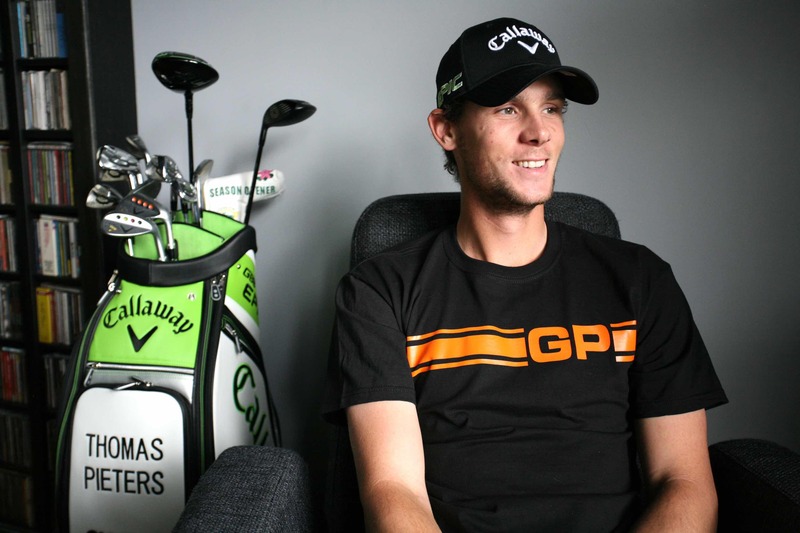 A second place finish at the PGA Tour’s Genesis Open in February this year confirmed that Thomas can ply his trade anywhere and compete with the very best the world has to offer. He was only beaten by world number one Dustin Johnson. This was made even clearer in April this year when he finished fourth in his first Masters appearance. 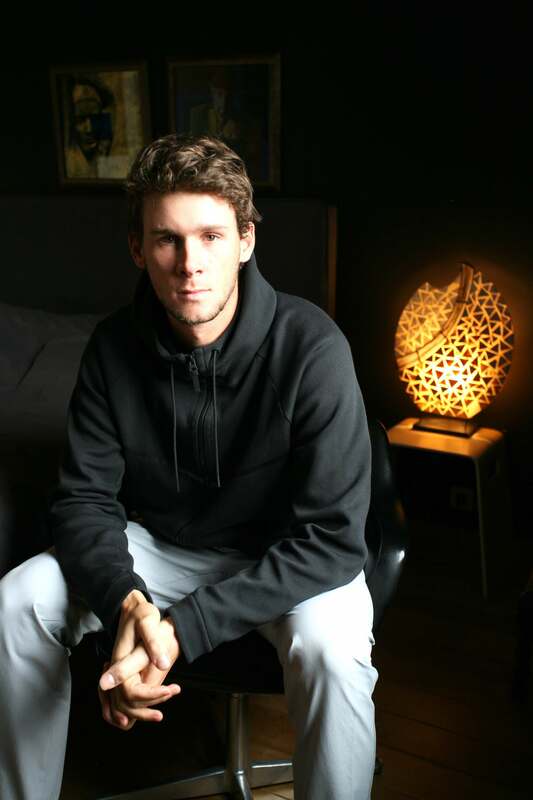 As I sit down with Thomas in the photo shoot apartment in down town Antwerp for our interview, I shake him warmly by the hand and congratulate him on his Augusta performance, adding that he also won me a nice slice of cash as I had bet on him to finish in the top five. 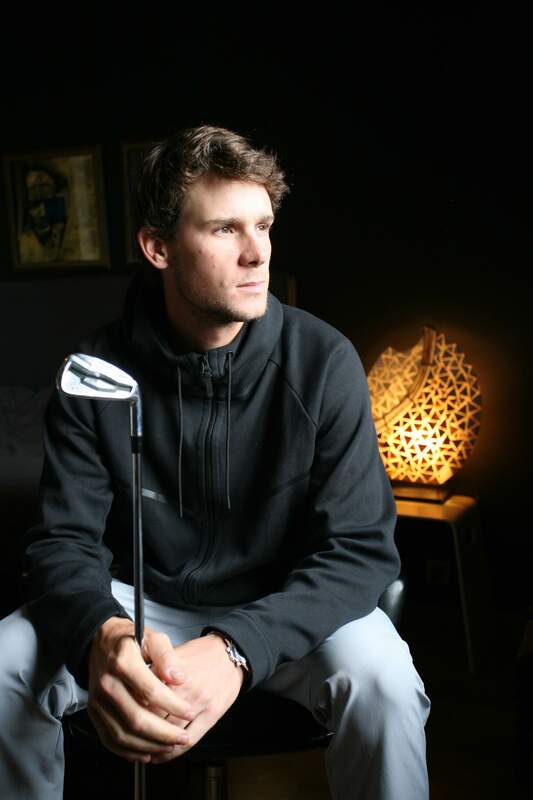 Rarely have I met a golfer as easy to get along with as Thomas Pieters. The average tour pro golfer can end up getting all too wrapped up in themselves. Walking around as if the world revolves around them, and blanking you just hours after you’ve interviewed or chatted with them. They moan about hotels, flights, waiter service. They don’t bother playing for their countries at the Olympics because it all looks a bit inconvenient. 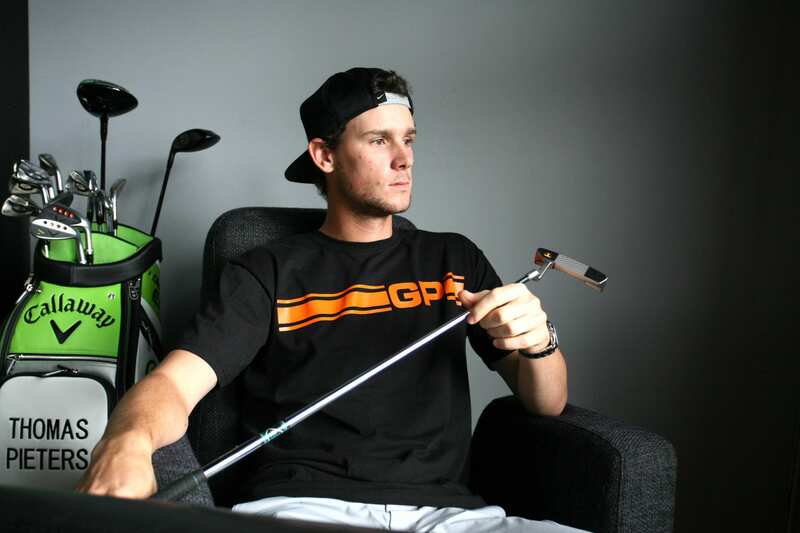 Pieters contradicts all these stereotypes, he is self-deprecating, has opinions on matters other than golf and is pretty much the coolest dude on tour. GP: Morning Mr Thomas, how you doing? TP: ‘I’m a bit tired after a big night out with my brother. I’m recovering from no sleep’. GP: Your early influences in golf – how did you get into golf? ‘We went into it as a family, we all started at the same time so there’s no big golfing history or my dad was a pro. I didn’t see Tiger Woods until I was about 15 or 16, I kind of wanted to do my own thing but I’ve always looked up to him as a golfer’. So he was your main inspiration? What other sports were you doing? “I was playing basketball and football but not a lot of people play golf in Belgium and it was kind of different - I just enjoyed it. It’s a challenge, you’re on your own, you can’t blame anybody ‘. You can blame your caddy! ‘I think that’s a bit low – but you can try!’. So when you were growing up did you think golf was cool? ‘Well I thought it was cool, obviously my friends and people at school didn’t! But yes I always thought it was cool’. Did you have people saying ‘why do you play golf? ‘Yes, of course. I’m not going to say I got bullied until I was crying but I got bullied for playing golf for sure’. People think it’s an old man’s sport? Do you think that’s changing now? ‘Yes it is. You guys are doing a good job for it. 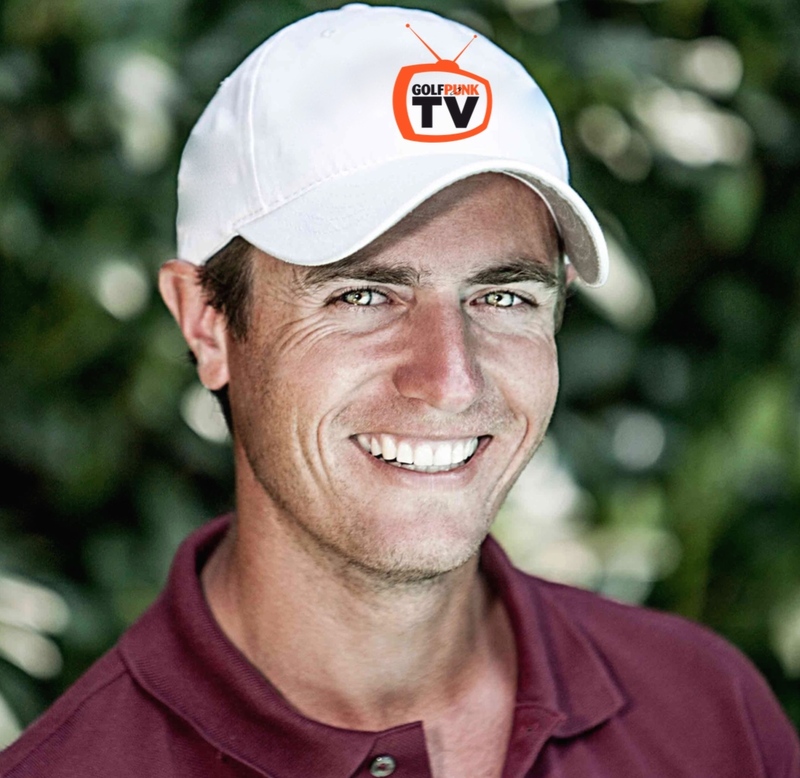 The Flemmish Golf Federation and media are getting into it now in Belgium, so it’s going the right way’. What do you think of the golf sixes innovation? ‘I liked it, I think that it’s fun to watch, it might need some tweaking, I don’t know what, but it’s definitely a great idea’. 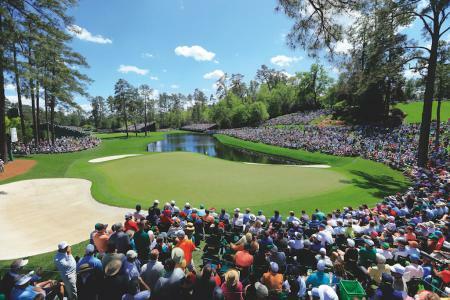 You’ve played in a Ryder Cup, extraordinarily successfully in a losing team – that dynamic you were in – even people who don’t really like golf watch the Ryder Cup, what is it about the Ryder Cup do you think that switches people on? ‘I think that it’s the electricity – you can see it and feel it on TV. I’ve watched many of them for five or six hours a day your just sitting and watching and it’s exciting. I think because there are only four groups it just gets your attention the whole way round”. How old were you when Medinah happened? Was it five years ago? ‘Yes it was five years ago so I was 20’. Were you watching that on TV? ‘I wasn’t watching it because we were at a world amateur in Argentina, there was bad timing, or I was asleep when it was on’. 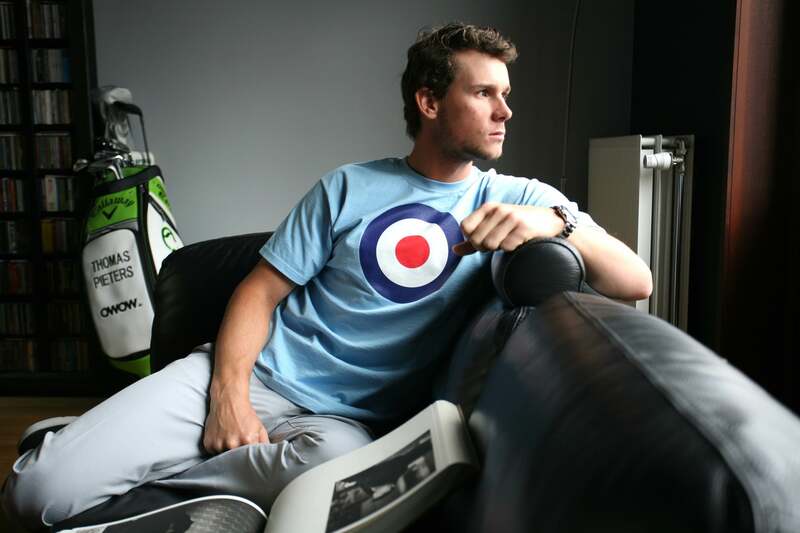 So you missed the Belgium Bomber Nico Colsaerts' big moment? ‘I watched a little bit of it, I remember, but I didn’t watch all of it’. Was that like a light bulb moment for Belgium golf the fact that Nicolas was playing in a Ryder Cup team? ‘Yes, it was the first time and then Nico did so well, it definitely made the news and that was probably the first time that people heard about it and knew about it, a decent golfer for our history and a great player in Nico’. So basically there is him, and you, and Thomas Detry. What else is happening underneath the surface that we don’t know about yet? 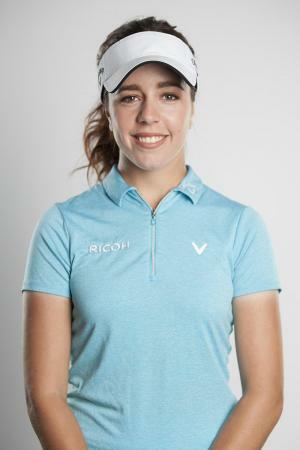 ‘We have a really good junior programme with the Flemmish Golf Federation, which I was in from the age of nine. They supported me all the way through to when I turned pro and the first couple of years they even helped me out financially and now I just give back and teach the young kids a couple of times a year, which I enjoy a lot. You can see a lot of talent in there. The more kids that play the more players you are going to get out there’. The Belgium football team is well known, maybe not recently, for punching above it’s weight by producing incredibly talented footballers for a relatively small nation, do you think the same template is being used for golf there in bringing the players through the youth ranks? ‘Yes, I think the more people that play it the more talent will be found in these kids and they might do well. There might be a better basketball player, but if you work hard at it a lot of people have shown that maybe with a bad swing or an unorthodox swing you can still make it’. So you say the whole family plays, Lieselotte (agent and sister) do you play golf? If you were Prime Minister in Belgium for one day and you could change anything what would you do? ‘Ugh all the roadworks in Antwerp I would get rid of them because they are such a pain and it takes ages to get anywhere. It took me an hour and a bit today to do a ten minute drive’. That’s terrible. What kind of country is this! So if you had a time machine would you go forwards or backwards? 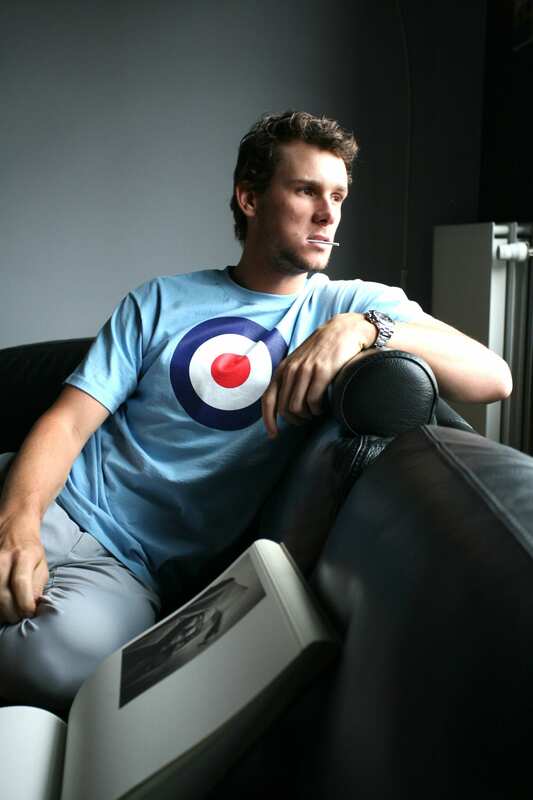 But you’d like to go back to the days of Studio 54, that’s where Nico Colsaerts said he wanted to go when we asked him the same question. “Yes with big afro hair’. 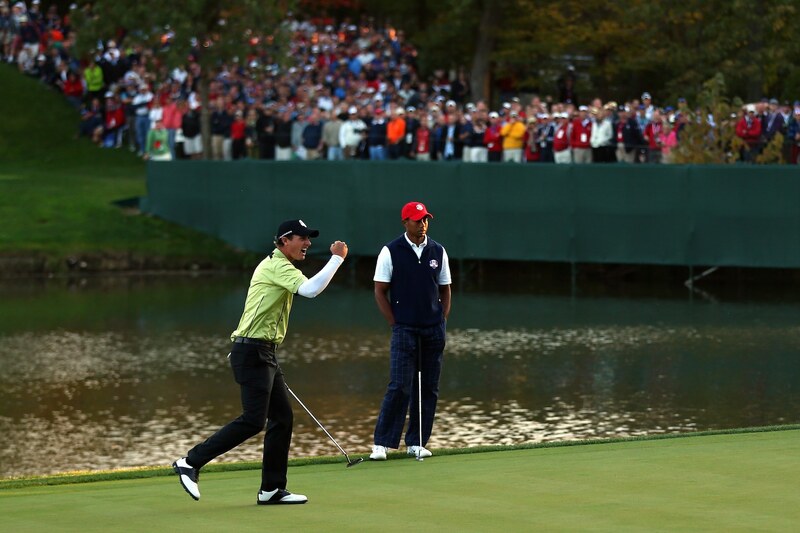 So, you’ve played Ryder Cup, won tournaments, what does success in golf now look like to you? ‘I think it’s measured by how many tournaments you win. You can come second a million times but people will forget about you, if you win five or six times then you’ll be a name’. What about majors, that’s the goal for any aspiring tour pro to win a major, which one would you have if you could chose any one? I had a bet on you for the Masters, you were 50-1 which I thought were pretty good odds. Yes, I did! I had an each way bet so thank you. Next time it would be good if you could win! 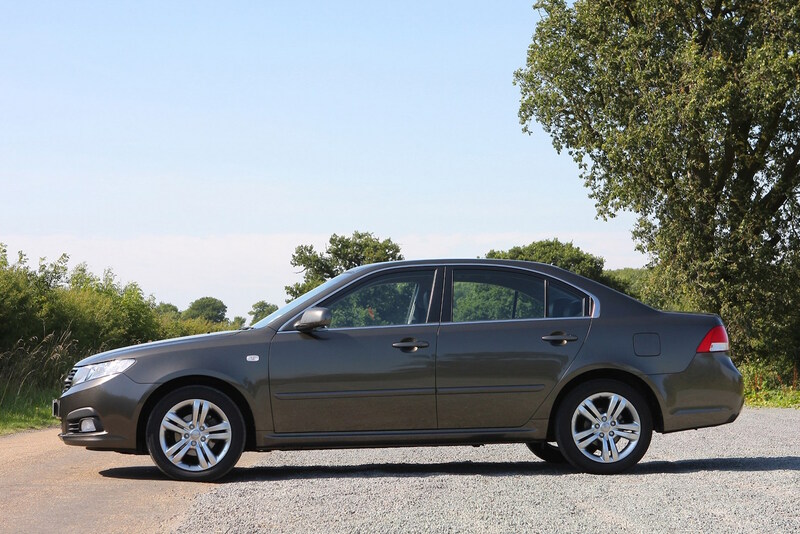 ‘My first car was a Kia Magentis’. And what are you driving nowadays? That would be pretty clever if you could do that! Who would play you in a movie? Have you ever been asked that before? ‘Will Ferrell maybe, I love a good comedy. Step Brothers is my favourite Will Ferrell film. Everyone says that, what is it about him? ‘He just does not give a damn, he’s just very funny. He’s really quick with his answers or some funny comment, he’s always impressed me with that’. So you’ve never had to work for a living? So you were programmed as a golfer from a very young age. How old were you when you actually started playing? ‘I was five, and I knew really quickly that it was my dream. I played basketball at the same time but it was never my dream to play in the NBA but it was always my dream to play professional golf’. Was your dream to play on the PGA Tour or the European Tour? ‘When I was little of course, you want to play where Tiger Woods is playing and he was playing on the PGA Tour. It’s changed a bit now but I’d still like to play in America’. What’s the difference between playing in America and on the European Tour, what’s your experience? ‘The flights, they’re very annoying! It’s the going back and forth, not having a base over there. I’ve learned a little bit this year which I can hopefully adjust for next season, but next year being a Ryder Cup year I will be focusing on Europe as well’. So you literally just go from tournament to tournament, you don’t have a place in Florida or somewhere? ‘No, sometimes I go over there for a week and then I just come back’. Do you enjoy living in hotels? A lot of people complain about it but clearly you’re staying in really nice places. At the Houston Open I was impressed by how big a deal every tournament is on the PGA Tour and how well it’s run, it’s a big machine. Do you notice that? Do you enjoy the pro-ams as well? ‘Sometimes, yes, of course. It’s something you have to do because those people pay to put up the tournament but I’ve had funny, funny times with great guys. I played a really funny one two weeks ago in New Orleans with the owner of a bank, he was a great guy, really funny. He swore a lot, which doesn’t have to be funny but it was, he was quite an old guy. Also at the Irish Open last year the guys just got it. Some people try too hard in a pro-am and they don’t talk to you but you’re out there to have fun’. What’s the worst thing to happen, is it when you realize these people are really desperate to win the Pro-Am, do you think ‘you’re not a professional golfer it doesn’t matter’. A bit like in Happy Gilmore when he got beaten up? ‘Yes it’s a fun day, it should be a fun memory rather than just trying to play good golf, you end up not doing it’. So did they really land on the moon? ‘I’m going to say yes to that one’. Apparently some people think it didn’t happen. We asked Ernie Els and he said he didn’t think they did, or his mum didn’t think they did, because they looked at the shadows that were on the moon’s surface they weren’t at the right angle. ‘Have you seen Interstellar? It could be something like that! It’s a great movie’. What would you think if you met yourself at a party? We asked Sam Torrance this question and he gave the best answer, he said ‘what a coincidence!!. ‘That’s a coincidence! I really like Sam Torrance, he’s a great guy. If I met myself? I’m a quiet partyer I like to dance sometimes but I’m not a loud, raging party goer, that’s not really my style. I wouldn’t think ‘that guy’s really annoying’, I don’t have a need to be the coolest person in the room’. 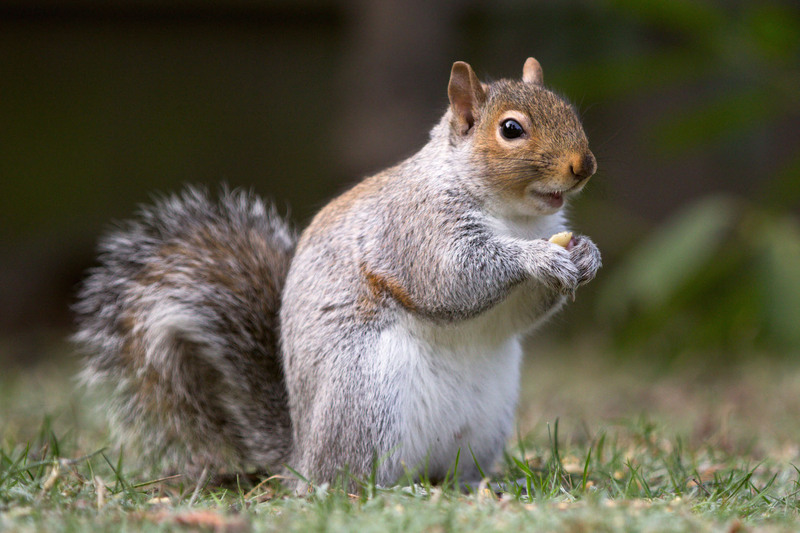 Here’s a question for you, can animals commit suicide? Do you think that’s what they do? 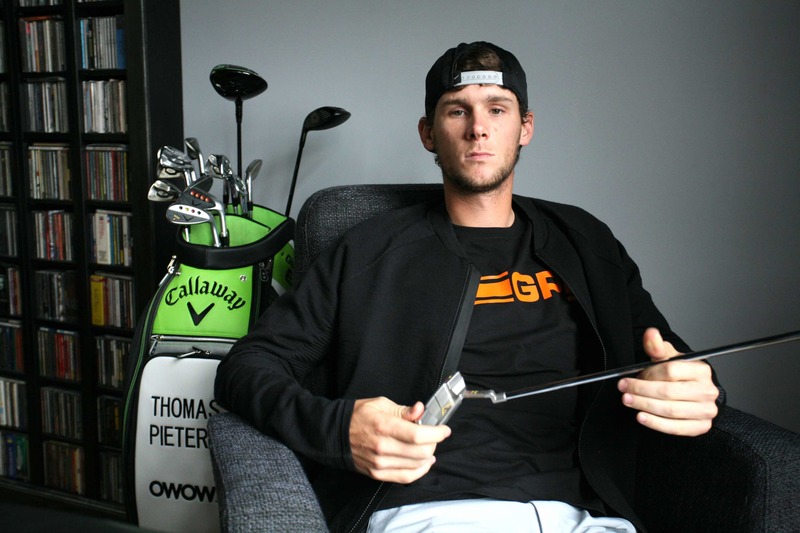 Thomas Pieters than you so much for today. You’re ‘Our Kinda Solder’ as we say at GolfPunk. ‘It was a lovely morning, thank you’.